There is a gardening book I have been wanting ever since I got it out of the library and I finally have my very own copy! I bought it with birthday money from The Parents. 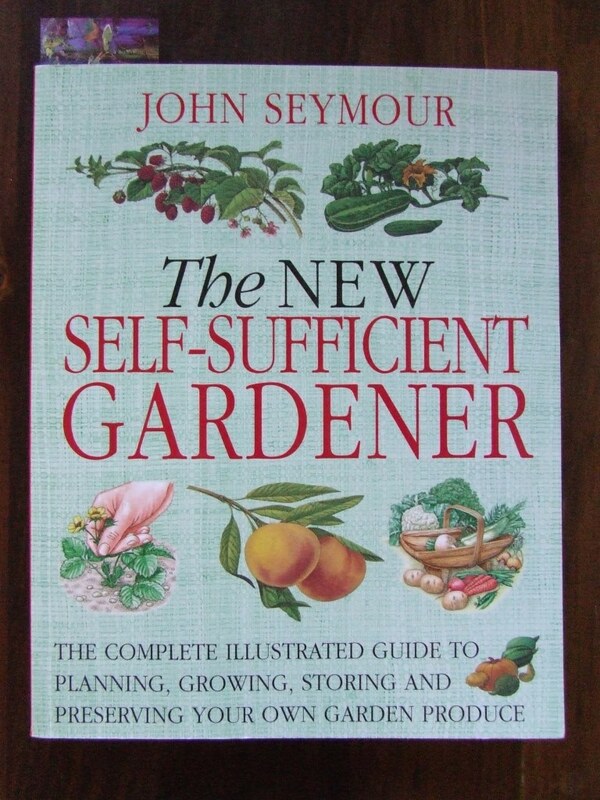 It is called The New Self-sufficient Gardener, by John Seymour. 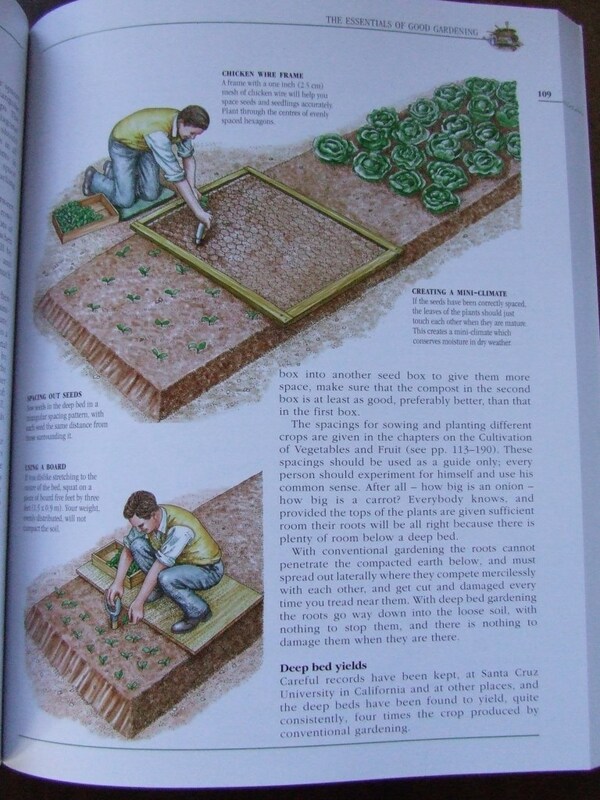 It is packed full of useful information about creating and maintaining edible gardens, with sections on deep beds and different crops and how to get the most out of the space you have. I may not be able to do much physically in the garden at the moment but I can always learn and stash information in my brain for later. One thing I have done today is chit the potatoes. 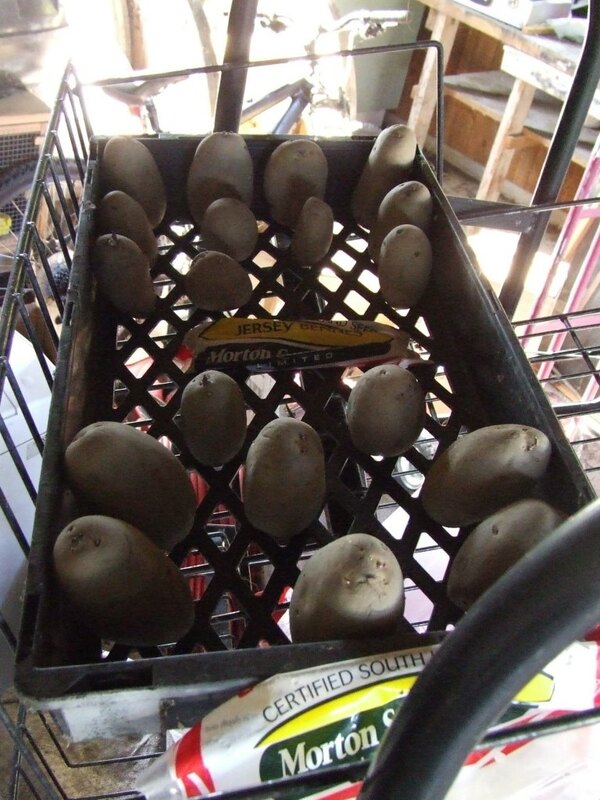 I decided to buy some seed potatoes as an incentive for both of us to hurry along and get the raised vege bed ready. In the past I have only grown Agria potatoes, which we use a lot in the cooler months for roasting, making wedges and in curries. The Husband is rather fond of making potato salads though, and Agria doesn’t hold up very well during boiling. 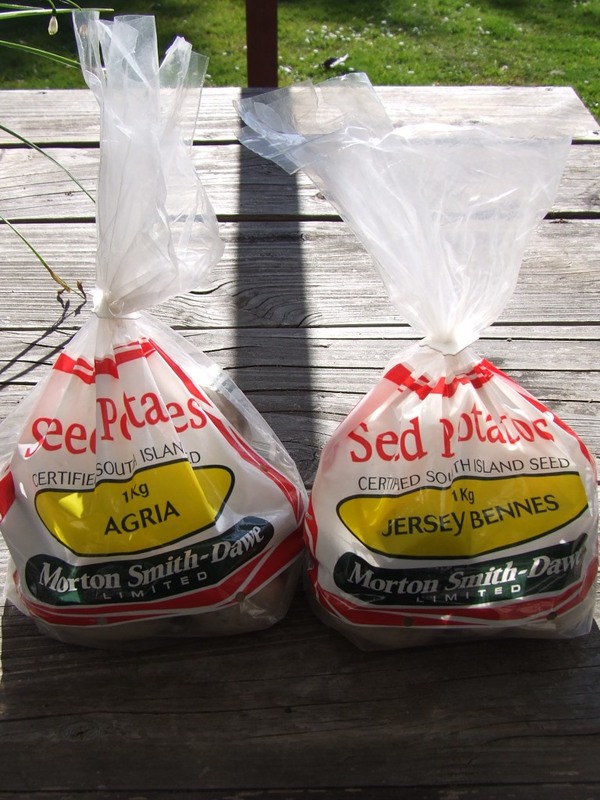 So I decided to get one bag of Agria and one bag of Jersey Benne seed potatoes, the latter which will be our salad potatoes. I didn’t buy as many as last year since the vege bed situation is a bit all over the place. I don’t know how things are going to pan out this season with vege bed constructing, vege growing and baby raising all colliding in a weird patch of time, so I’m trying not to make too much work for myself. It’s high time I made a vege plan. Yes, a chance to make another spreadsheet! I have already been working on one for the herb garden. 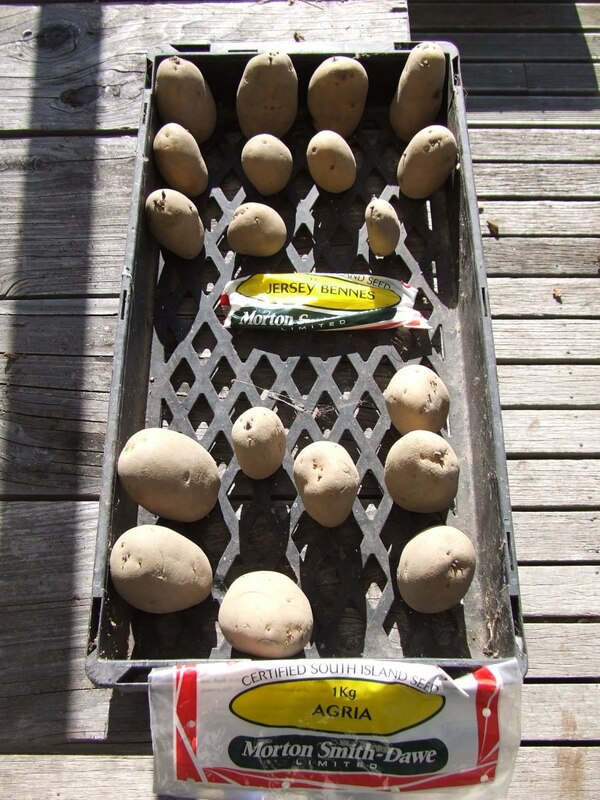 Anyway, back to the potatoes… I set them out in a plant tray facing rose-end up (the end with the most growing points). It is dangerous putting two varieties in one tray, especially whilst pregnant, but I attached the labelled bags on there so hopefully there’ll be no fraternising going on. The holes in this tray help them to stand upright.